1. 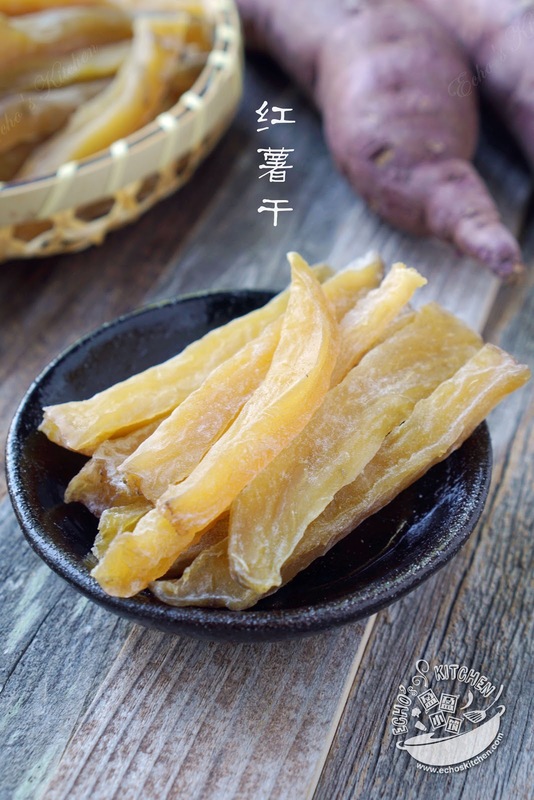 Clean and cut the sweet potatoes into 3 inches in length. 2. Steamed the sweet potatoes for 50-60 minutes until cooked. 3. Let cool, once it is cooled enough to work on, peel the skin and cut the sweet potatoes into strips around 2 cm in width, the sweet potatoes pieces will shrink after sun-dried, so make sure that you do not cut it too thin. 4. Arrange the potato strips on a baking sheet/bamboo strainer or colander. 5. Place the sweet potatoes under direct sunlight and dry for 2-3 days until its size reduced around 40-50% of its original. 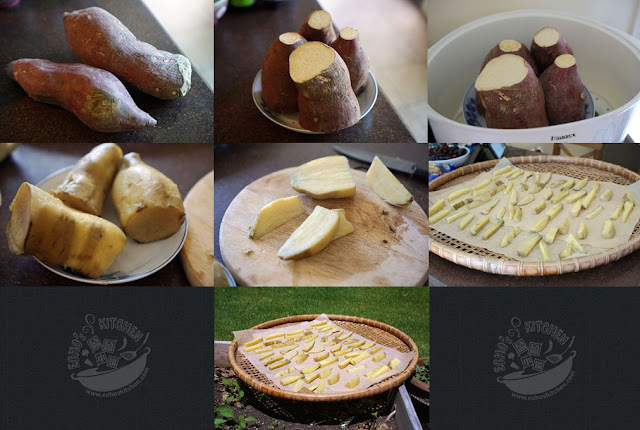 Make sure to bring the sweet potatoes indoor at night and turn the sides everyday to allow even drying. 6. 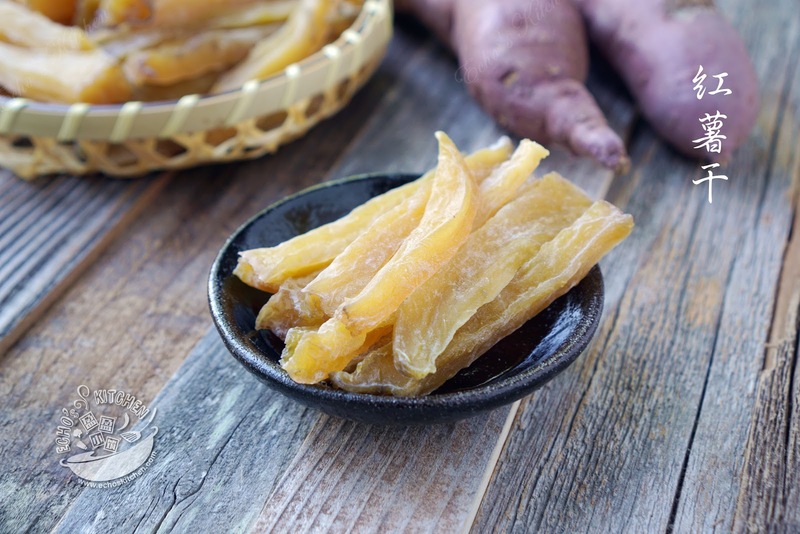 You can coat the dried sweet potatoes with very little powdered sugar to prevent sticking together and place them in an airtight container and snack on it!